Fukuoka is renowned for its culinary delights with acclaimed dishes such as Fukuoka ramen (pork-stock soup with Chinese noodles), Hakata gyouza (stuffed dumplings) and Genkai-Sea fugu (blowfish). There is a range of restaurants in which to savour these gastronomic delights. However, a trip to Fukuoka would not be complete without visiting one of the many yatai (food stalls), which set up shop in the city centre come nightfall. Ume no Hana is a locally owned chain of tofu restaurants. Here you can choose from a great variety of delicious tofu dishes and a range of seafood dishes. 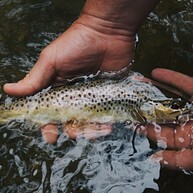 At this excellent fish restaurant you might, literally, have to “fish for your supper”- diners are supplied with their own equipment, and fish caught that way is ends up being a better bargain than regular items off the menu. The décor is simple yet elegant and you will marvel at the little details that will make your visit a memorable one. 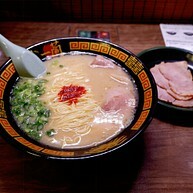 Ichiran Ramen is the premier venue for trying Fukuoka’s specialty, tonkotsu ramen (noodles topped with a pork cutlet). Unlike some other types of ramen, the tonkotsu variety is cooked in a thick, flavourful broth, which takes nearly 12 hours to prepare. At Ichiran, diners are seated at separate booths, and orders are delivered to their booth's table directly from the kitchen, via an individual window. 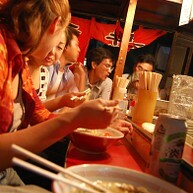 Do as the locals do and head for one of the many Yatai stalls set up along the streets. Delicacies on offer include ramen, yakitori, tempura and oden. This sushi restaurant serves traditional seafood specialities with a modern twist. 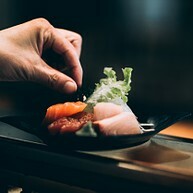 The friendly staff prepares excellent maki and skilfully arranges them on sharing plates. At Yamanaka you can dine in a cosy atmosphere and a luxurious setting. If you're up for trying out something new, you should not miss the unagi experience of Fukuoka. Unagi is Japanese for "eel" an you can't find a better place for this speciality then Yoshizuka Unagiya. The skilled chefs prepare the dishes to your taste and the outstanding seafood quality will leave you wanting to come back for more. One of the finest seafood restaurants in the city gathers long lines at lunchtime, and for good reason: lunch offers are exceptionally great value, and seafood is so fresh, diners can observe it still swimming in tanks inside the restaurant. This place is highly recommended by guests as it serves fresh fish and varied sushi. Indulge yourself in the wide offer of sushi platters and try out some of the more unusual ones, which include sea urchin, fish roe, scallops, and more. 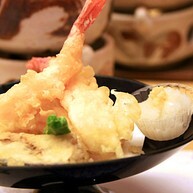 Tempura Hirao is your place for high-quality seafood dishes, most deep-fried to a golden crisp. Grab a sushi plate and some sake for lunch or order a large dinner at a reasonable price. You won't forget an evening at Tempura Hirao.